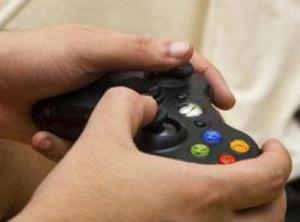 Game consoles like Nintendo Wii and Xbox Kinect have been found to aid symptoms of degenerative brain conditions. Computer consoles can help improve the lives of people with the neurological disease Parkinson's, researchers have found. Scientists said games with sensors - used in consoles like the Nintendo Wii and accessories such as the Xbox Kinect - were found to aid symptoms of those with the degenerative brain condition taking part in the study. An in-depth study with Parkinson's sufferers at the UK's Lancaster University found video games involving the movement of players acted as a form of physical therapy. "Muscles and joints tend to become stiff and rigid, which is why exercise is crucial in managing some of the symptoms," researcher Emmanuel Tsekleves said. "However, physiotherapy exercises are very repetitive in nature, leading to boredom and demotivation and hence lack of adherence. "Computer games have the potential to motivate people to keep active by implicitly incorporating repetitive exercises into the games." Dr Tsekleves said the research involved participants using commercially available gaming sensors like the Nintendo Wii, and computer games designed specifically for people with Parkinson's disease. "The key was in taking physiotherapy exercises and translating them into game play movements. "The games help at improving the player's speed and arm movement, improving flexibility and reducing rigidity." One involved the control of a two-paddled row boat, while the second, the steam mini-golf game, asked the player to rotate a valve to release steam to push a ball into a hole." The researchers, who also included teams from Brunel University and Queen's Belfast, found that the more familiar games based on simple exercises worked best.